Social responsibility is no longer a simple matter of brand image. 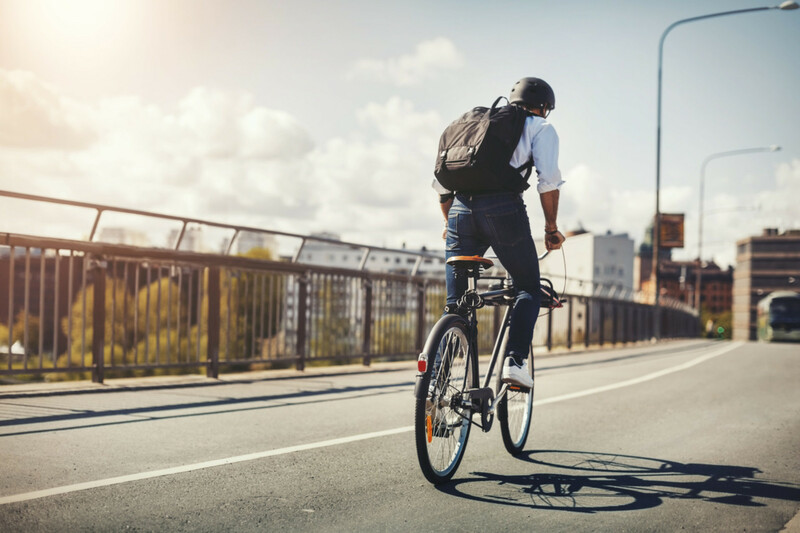 Many businesses are integrating social and environmental initiatives into their daily activities, as this increases their ability to advance in a marketplace where progress and sustainability are now intrinsically linked. To be successful, enterprises need to make social responsibility a real objective and embed social goals into their HR policies, internal sustainability policies, and the products and services they offer. This means that boards need to select CEOs who have a sustainable vision for the future and that managers need to use social impact as a measuring stick of their success and the success of their employees. While there is inherent value in CSR policies, and companies like AXA see social responsibility as part of their DNA, as companies create more sustainable business models, they also reduce costs. This is because initiatives to reduce the amount of waste produced and energy consumed means companies are becoming more independent while innovating to create business models that can be sustained over time. This reduces expenditure on consumption, and often means businesses make the effort to get more use out of their purchases. For the third consecutive year, AXA is the founding partner of Impact Journalism Day. This unique operation brings together 55 newspapers, from 50 countries around the world, to publish, on the same day, 100 positive initiatives that are changing lives. Translated into more than 20 languages, the articles aim to inspire men and women from every corner of our planet. AXA is proud to contribute to the sharing of these initiatives. These advantages have allowed businesses at the forefront of economic growth to reduce the environmental impact of their chains of production. At AXA, an environmental goal to reduce its use of paper by 25% resulted in a business innovation, as the enterprise was forced to improve its digital services. The company was thus able to increase its client satisfaction and streamline services while reducing its burden on the environment. Similarly, at AccorHotels, where energy costs represent $500 million a year, the sustainability initiative, “Planet21,” reduced energy use by 4.5%, water use by 5.6%, and is aiming to reduce food waste by 30% by 2020. These initiatives significantly cut down expenses for the company. The integration of social responsibility can also be taken further, as certain enterprises have been developing new products and services that respond to social and environmental needs. This is because, as more people search for a better way of life, health, education, and sustainability have become sizeable markets. Michael Porter of Harvard Business School believes that integrating social responsibility into products “will offer significant new ways to innovate and unlock economic value that most businesses have missed.” And this assertion is supported, as in 2015, a Nielson poll found that 66% of people said they would be willing to pay more for sustainable brands. AXA also measured that 71% of French clients take into account a company’s CSR strategy when choosing an insurance provider. In response, the company launched a “Responsible Insurance Program” in 2015. Based on four commitments (trust, prevention, environment and fairness), it aims to better integrate CSR criteria in its insurance products. 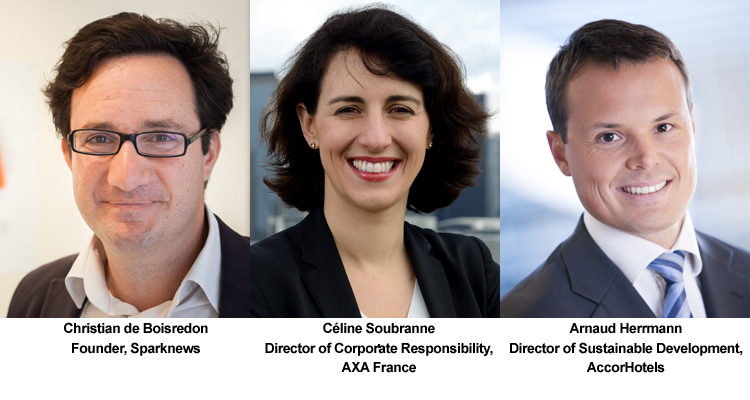 In 2016, the objective is ambitious: 100% of AXA’s French new products must be responsible. For example, AXA developed insurance for BlaBlaCar in order to support car sharing, which indirectly reduces carbon emissions, and the company partnered with the Association for the Right to Economic Initiative (ADIE) to provide micro-credit that is allowing disadvantaged entrepreneurs to contribute actively to society. AccorHotels is also selling sustainability: by offering guests eco-labeled products and the choice to reuse their sheets and towels, the company is finding that clients are more likely to return to its hotels in the future. A valuable initiative that plays an important role in consolidating an enterprise’s commitment to corporate responsibility is divestment from harmful industries such as fossil fuels and tobacco. In 2015 AXA divested €500 million from coal and in 2016 it made the move to divest €1.8 billion from tobacco. While these shares may be bought by other companies it has freed up €3 billion that AXA plans to invest in green technologies and services by 2020. Wholly integrated initiatives are also satisfying a need for purpose in the workplace: we have reached a point where we want the companies we work for to contribute to a better future. This means that businesses need to include employees in their CSR mission by having strong values of diversity and inclusion while supporting their health and development. Improving the conditions for workers and creating a positive relationship between managers and employees also reduces turn over and helps corporations attract talented candidates. In addition, taking these steps ensures that businesses will continue to improve their capacity to respond to varied problems and innovate creatively while tackling social issues such as sexism, racism, and homophobia. For these reasons, many multinationals have already taken steps to achieve diversity and inclusion while improving worker’s rights. For instance, Danone has signed international agreements with worker’s unions to perpetually improve the social situation of its employees and the company covers basic health insurance in countries where none exists, which has increased employee commitment and reduced turnover and absenteeism*. In addition, AXA France has made 46.2% of its executive employees women and the multinational maintains a program to remunerate any salary gaps between genders, which attracts the broadest range of talent. AccorHotels serves on the steering committee of the International Labor Organization’s Global Business and Disability Network, at the ILO’s request because it understands that the inclusion of disabled workers is a competitive advantage in a world where 1 in 5 people live with a disability. It is now evident that Integrating social responsibility is a step that all businesses should take and there is already a community of important players that are supporting the positive shift. The Positive Innovation Club, launched by the social enterprise Sparknews in January speaks volume to this movement by bringing together multinationals like AccorHotels, Adidas, AXA, and L’Oréal, among others, in order to encourage innovation with purpose. Given the business case for social responsibility and environmental sustainability, it seems likely the club will succeed and the trend towards building better businesses will continue.